Just do it. Just make the Squirrel Girl movie, Marvel. I know you want to. Speaking to Yahoo, Captain America: Civil War directors Joe and Anthony Russo were asked about Anna Kendrick as Squirrel Girl—casting which has not happened because there is no Squirrel Girl movie because Marvel is bad—and they seemed up for it. “It would be perfect casting, and we’re huge Anna Kendrick fans,” said Joe Russo. Anthony Russo did make clear that there would be no room for Doreen Green in Infinity War—he’s wrong—because they already have too many characters to deal with. Although Anthony did hint, “That’s not to say we’re not going to introduce a new character.” I think we can all guess that it’s Captain Marvel, since she’s going to be the only character without their own movie by the time Infinity War comes out. 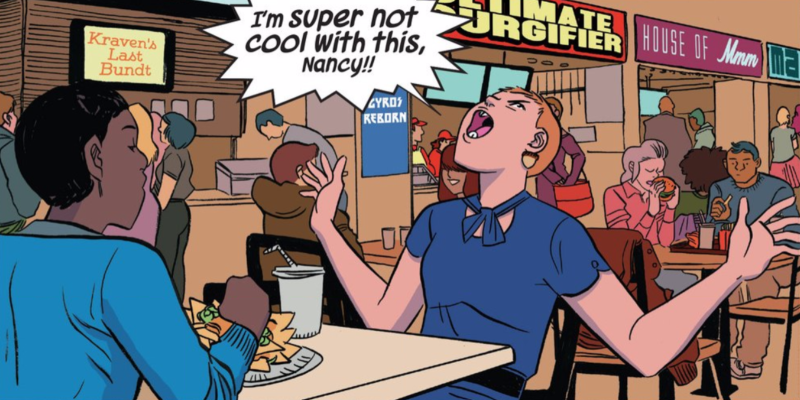 Or, Russos, whoever it is, you should give her slot to Squirrel Girl. Make Squirrel Girl. Make America proud.